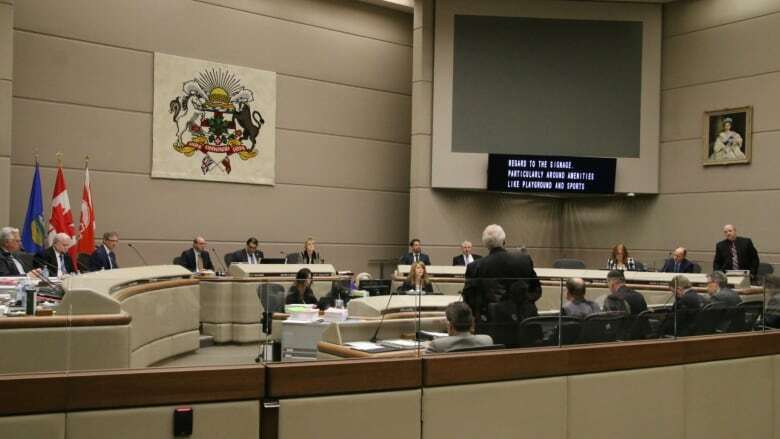 Calgary city council voted after a prolonged discussion Monday to allow 14 new suburban communities to be built in the coming years. Mayor Naheed Nenshi says it's a critical decision process, because the city must find the right balance in managing growth and its associated costs. "Not only does it handcuff the city for generations to come in terms of where we put fire halls, where we put bus routes, how we build roads … we want to make sure those are efficient and thoughtful investments," he said. "It also is really helpful for the developers, even though they argue with us sometimes, for us to get it right." 4 in Glacier Ridge in the north. 2 in Belvedere in the east. 1 Haskayne in the northwest. 1 in East Stoney in the northeast. 2 in Keystone Hills in the northeast. 2 in Rangeview in the southeast. 1 in Providence in the southwest. 1 in South Shepard in the southeast. Nenshi said land use decisions the city made some years ago, which were strongly debated with developers, have proven to be wise choices. "I've had so many homebuilders come to me and say, 'The fact that the city was very thoughtful about land supply in 2013, 2014, when we were really fighting for you to release more land, kept us all in business because, if you had released all that land in 2013 and 2014, we would have built on it and we would have all over-extended ourselves,'" he said. "So that little dance between the regulators and the developers is incredibly important." Coun. Druh Farrell voted against adding the new communities and voiced concerns over affordability. "I'm very concerned that the very members of council that added new communities that we may or may not be able to afford will continue to erode the essential services we provide in our operating budget," Farrell said. She also said she was concerned taxpayers will be on the hook the longer it takes for the new homes to be filled. "That lag time between the investment in those communities and the payout through property taxes — the longer that lag time, the more Calgarians have to pay." Administration recommended adding a three-quarters of a percentage point hike to next year's proposed property tax increase so these areas can receive new infrastructure and services.